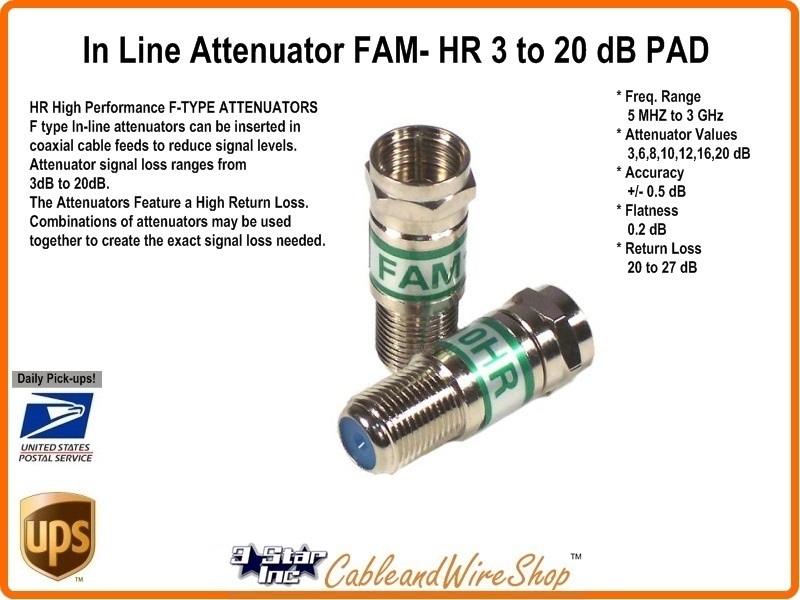 16 dB F type In-Line attenuator can be inserted in coaxial cable feeds to reduce signal levels up to 3 GHz. in Frequency with High Return Loss. Reduce UHF/VHF/FM and Digital signal sources such as TV Antennas, Cable TV, Broadband Internet, FM Antenna and Satellite TV (without DC Voltage being present). Combinations of attenuators may be used in conjunction to add up to the exact signal loss needed. High Return Loss means a Higher VSWR, more Accurate Readings and better Impedance Match.